Are you looking to have new carpet installed in Royal Oak? The Carpet Guys provide some of the best flooring on the market for many Royal Oak carpet installations. As a homeowner, you are probably looking for a type of carpet that not only looks and feels good, but matches personal taste in style and creativity. You can trust The Carpet Guys to treat each and every installation the same we would our own family. 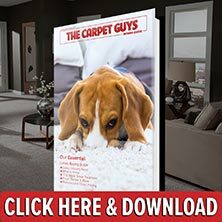 The Carpet Guys is one of the biggest and best carpet companies in Michigan, part of this is because we have multiple types of carpet available at our immediate disposal to provide a bigger selection of carpeting when you're looking to buy new carpet. We want to provide amazing carpet in Royal Oak at affordable prices, so whatever type of carpet you may be looking for, we are the ones for the job. If you like a feel of cushion and look of sophistication and luxury, our Plush Carpet will get the job done. It comes in many colors and can offer comfort in any kind of room. It is perfect for rooms with a formal setting. Maybe a carpet with personality is more attractive to you. Our Frieze Carpet adds a unique flair and personality to any room it is in. The tightly twisted style offers a a great casual look and a comfortable feel. Berber Carpet is great for those who love the outdoors. With an earthy tone and texture, it gives off the feel of the outdoors inside the home. It is also hard-wearing, making it strong against spills and high traffic. For those who have an intricate look on design, Looped Carpet can give off a surprisingly comfortable feel underfoot. Our looped carpet comes in many sought after colors and is a great addition for any room. During your free carpet estimate, the salesman will provide you the options to help determine the best carpet to install. By allowing us the opportunity to install your new carpeting, rest assured that you are in good hands. Our customers mean everything to us, so we will do whatever we can to guarantee satisfaction. The installers we send out are certified and licensed and their craftsmanship is superior. With our services, you do not have to look for a second carpet company to finish anyones work. Take the time to fill out a free carpet estimate to get started on the road to new Royal Oak carpeting. Estimates are available by either our website or feel free to call in by phone. Our friendly and polite installers and sales associates are ready to provide you with excellent customer service. We thank you for considering us as your carpet installation company of choice.